Childhood trauma can cause youth to develop coping mechanisms and behavior that stops social-emotional development and can dramatically impair their academic success. Gang activity, drug use, delinquent behavior, and aggressive attitudes become survival tools to get teens and youth through their traumas. To help youth recover and become successful adults it takes adequate support from schools, families, and communities to provide a network to give youth the opportunities to overcome traumatic experiences. Trauma can be described as a powerful event that threatens harm to emotional and physical well-being. Events can include a natural disaster or more common stressful events like domestic violence, neglect, medical emergencies or physical or sexual abuse. Children need not be the direct victim of such events to be traumatized, just seeing or watching an intense event can cause trauma to a child. That trauma can last well into adulthood. Painful experiences early in childhood can alter the brain. Behavior geneticists in Switzerland reported in 2013 that early psychological trauma could cause lasting changes in the brain that promote aggressive behavior well into adulthood. What does this mean? Take the case of Julia whose parents divorced when she was just a baby. Julia lived with her mother and her mother’s boyfriend. The boyfriend abused Julia’s mother and often turned to alcohol to relieve his frustrations. To protect Julia, and prevent Julia from seeing the abuse, her mother put her in her crib and shut the door. Julia would cry for hours and no one would come into the room to comfort her. In frustration, Julia’s mother would leave Julia in her crib when nothing would stop Julia from crying. When Julia went to school, she exhibited antisocial behavior. She was inattentive in class and refused to play with other children. Her vocabulary was behind her peers, and she struggled with schoolwork. She did not know how to respond to questions and care from teachers. At home, Julia could not sleep, she had trouble eating and came to school sleepy, withdrawn, and belligerent. As a teen, traumatized children like Julia may continue to withdraw from others. They often refuse to discuss feelings and avoid activities that may cause them to interact with others. Traumatized children often have no interest in school, misbehave, and exhibit poor concentration skills. Many traumatized teens turn toward drugs, gangs, and antisocial behaviors to console themselves. Brain development begins in infancy and early childhood and lays the foundation for future growth. Experiences teach the brain how to react. In Julia’s case, her experiences of being left alone and probably seeing abuse taught her to become reclusive. The formation of pathways needed for adaptive behavior was set and in Julia’s case resulted in cognitive delays and impaired emotions. How Can Youth Who have been Traumatized as Children be Helped? 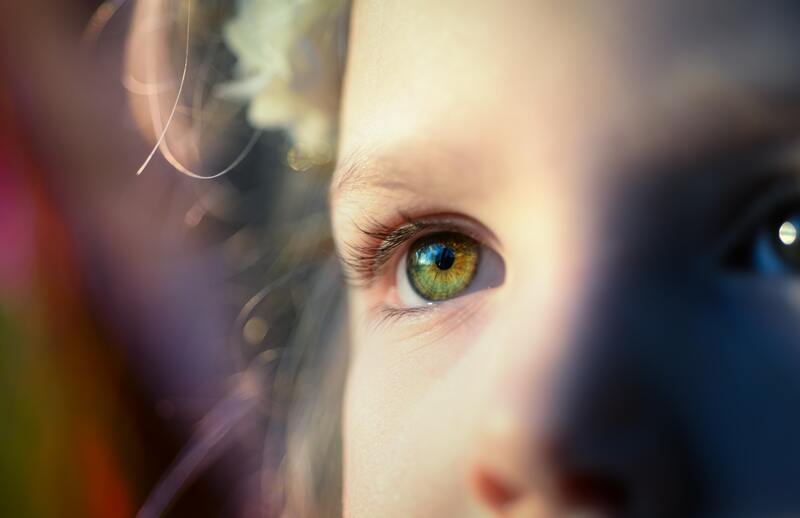 Childhood trauma can happen from events or relationships that exceeded a child’s ability to understand or process what is going on around them. Childhood trauma can be associated with experiences including neglect or separation. Neuroscience research shows that childhood trauma goes beyond logic. Trauma lives on in children’s brains and their bodies and often creates harmful patterns in the autonomic nervous system. Embodied trauma impacts life. However, with the right support teens can learn to get over and regulate the effect of trauma on their brains. There are invisible ways teens suffer from childhood traumas. As in Julia’s case, she has no trust in an adult being there for her. She feels inferior unaccepted emotionally neglected and misunderstood. Julia’s emotional health is damaged. Research says stimulation to the brain in new and creative ways can help Julia and others like her move forward and heal. A child suffering from childhood trauma needs support from adults who can interact with them. Psychologist Sharon Stanley, Ph.D., writes about sharing traumatic experiences with adults who can play an essential part in helping teens heal from traumatic events. Neuroscience research and practices that Dr. Stanley shares in her book can help traumatized teens heal. Create meaningful habits. Integrate music, arts, and dance to transform trauma into growth. Create human connections. Find a safe place for a teen to express themselves and explore their feelings. Teach a teen through somatic empathy. Change from cognitive empathy or understanding other things to somatic empathy or what others feel. Any adult who has contact with a teen knows it is essential to recognize the signs of trauma. A teen who is withdrawn, acts out, or who is disruptive may be the teen who has experienced childhood trauma. Contact a school counselor, parent or other trusted adult to talk to the teen and help them with their issues. Find programs utilize the three practices that Dr. Stanley emphasizes in her book. Use MST or Multisystemic Services to counsel a traumatized teen and their family. MST is a scientifically proven program that intervenes with at-risk youth. Therapists work in the home, school, and community with parents or guardians to help the teen work through their traumas. Talking to a third-party therapist can open doors to better communication to get to the root of a problem. Julia would do well using a third-party therapist to find the tools needed to talk to her mother about being left alone without comfort as a child. MST offers support to monitor emotional behavior and engage teens like Julia to join in pro-social activities and discourage her from disruptive or intense introvertive behavior. Science has proven that Julia and teens like her can be helped. They can be prevented from harming themselves, turning to drugs, and disruptive behavior. Julia wants to be a doctor. With the right therapy and parental help, she can become an incredible doctor. For more information about factors related to youth violence, such as sexual violence, visit our Youth Violence Resources page by clicking here.